Fitness trackers and smartwatches are now quite popular wearable devices. There are a host of models to choose from. Some are naturally better than others in terms of comfort, style, functions and uses. Let us see how a watch known as The Withings Go Fitness Tracker has fared. Also, is there any potential room for improvement with future designs? User-Friendly? Like most fitness trackers, the Go is rather easy to use. It is very simple to switch between different metrics. The addition of a clear LCD display helps users to monitor their progress. The main issue is that the Go does not contain any type of vibration alarm. This is a major flaw. It is nearly impossible to be alerted at predetermined times. The same holds true for when a specific fitness milestone has been reached. 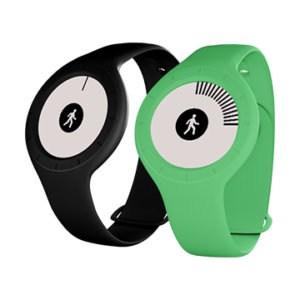 The Withings Go contains all of the main features that have come to be expected. These include sleep, calories burned, distances and individual steps. The issue is that other advanced options are not present. This is likely due to the fact that developers were hoping to keep the price of the Go more economical. Unfortunately, they seem to have missed the mark when compared to models such as the Fitbit Zip and the Moov Now. The one interesting addition to this tracker of an e-ink display. However, this might not be as bright as typical OLED variants. Uers will still have no problem interpreting readouts even while within low-light environments. This unit is also water resistant for up to 50 metres. It can therefore be worn when swimming or diving. All in all, the levels of performance are seen as being nominal. There is still no single feature which tends to stand out from the others. While this watch is minimalistic and fashionable, a price tag up just below £60 pounds is a great feature for. The lack of a vibration alarm can therefore almost be forgiven. It can be argued that such a feature should be included even within the cheapest of designs. Still, the unit could be a good entry-level alternative.